Welcome to the world of Crowdfunding. Our portal shows how SME’s can grow with the power of the Crowd, and helps Starters, Citizens, Platforms and Policy Makers to learn more about the modern way of financing. I just want to check the Blog, Events or the Tools & Services section. The ultimate source of information on Crowdfunding for SME’s (Starters), Citizens (Supporters), Platforms and Policy Makers. You are a Crowdfunding Consultant or a Coach? Get your FREE Training Material for Crowdfunding Consultants and Coaches! 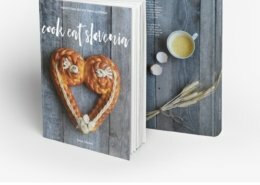 "Cook Eat Slovenia" – A cookbook that brings traditional Slovenian recipes and family stories to your kitchens worldwide! 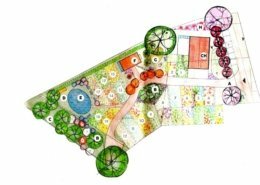 https://www.crowdfundport.eu/wp-content/uploads/2019/04/Cookeat-1.jpg 694 680 Anja Prislan https://www.crowdfundport.eu/wp-content/uploads/2019/01/cfp-logo-1.jpg Anja Prislan2019-04-01 11:04:002019-04-01 11:04:00"Cook Eat Slovenia" – A cookbook that brings traditional Slovenian recipes and family stories to your kitchens worldwide! Are you a fan of HANNIBAL and INFERNO? Through Crowdfunding-platform Kickstarter, you can reserve your copy of a new book with exciting fan art. 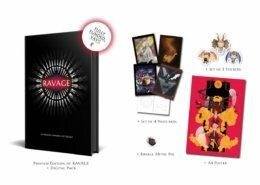 It’s called the RAVAGE ANTHOLOGY and it is a collection of writing and art, based on Bryan Fuller’s darkly alluring TV-show Hannibal and the world-renowned cantos of Dante Alighieri’s INFERNO, with a foreword by Mark Benecke. https://www.crowdfundport.eu/wp-content/uploads/2019/02/Projekt-bez-tytułu.jpg 788 940 wpadmin https://www.crowdfundport.eu/wp-content/uploads/2019/01/cfp-logo-1.jpg wpadmin2019-02-26 13:25:332019-03-14 09:21:09Poland: Will crowdfunding conquers the polish real estate market? The project focus will be on economically weaker businesses with fewer opportunities, who do not have access to bank loans, but who would be able to start business ideas through Crowdfunding. 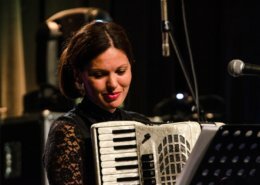 Outputs and results of the project will benefit Crowdfunding platform operators as well as small and medium sized enterprises by increasing their competences. Crowdfunding Supporters will profit from increased safety by a better understanding of benefits and risks and policy makers will gain increased decision-making competences. 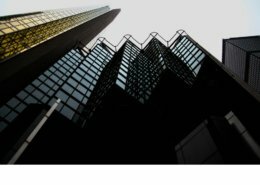 Crowdfunding minimizes business risk-taking and increases entrepreneurship mind-set, which is why an unused Crowdfunding potential represents a huge challenge especially in the eastern parts of central European countries. CROWD-FUND-PORT aims thus to improve skills and competences of all relevant stakeholder groups to prepare them for taking advantage of the Crowdfunding phenomena. Change will be visible in improved financial conditions for Start-ups and SMEs fostering innovation, employment and social stability in the region.